Welcome to Auburn! Located on the former site of the Women’s Educational and Industrial Union, the NYS ERHC welcomes visitors to History’s Hometown. 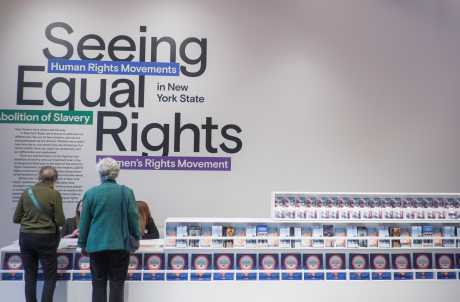 The Center features a state-of-the-art exhibition titled “Seeing Equal Rights in NYS” where New York State’s progressive history supporting equality comes to life through interactive displays. 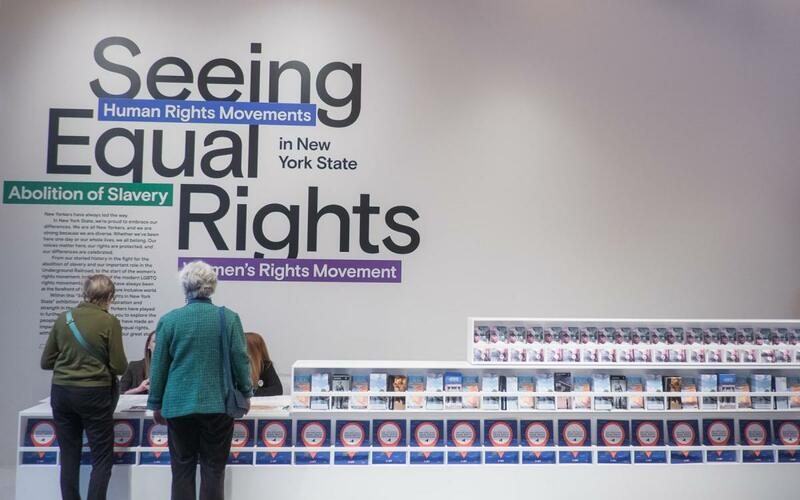 Experience the creative ways New Yorkers organized to stand for justice, and learn about the key contributors from the 1800s to modern day. Think: songs, speeches, portraits, posters, and videos that prompt visits to interpretive centers statewide. The family friendly facility also offers free Wi-Fi, public restrooms, and regionally sourced products in the Taste NY Market. Guests can relax and unwind on the green space or admire the bronze statue of Harriet Tubman in the courtyard—a photograph opportunity not to be missed—and find all travel resources like paper guides, maps, brochures, and I Love NY trip-planning kiosks at this one-stop tourist hub.